Ahhhhh Japan! Exotic and beautiful, but still with a taste of adventure and danger, this inspired adventure lets you feel the ambience of beautiful temples, geishas, cherry blossoms and ornate fans in ‘Golden Wild’. This oriental themed online slot, by Leander Games has 5 reels and 3 rows, with a total of 30 paylines and is a real pleasure to play. 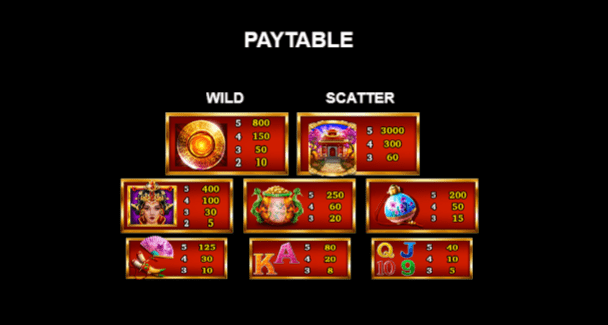 Superb graphics and lots of thrills and spills make ‘Golden Wild’ and slots online classic, available right here at WS! Leander are an independent company whose mission is to deliver innovative Online UK slot games for the enjoyment of the end user. Leander’s Game Studio creates high-quality online slots with superb storylines and features, this, combined with the top quality artwork, truly make their games a treat to play. If you enjoy games like ‘Golden Wild’, you will love ‘Golden Money Frog’, ‘Shang Dynasty’, ‘Ave Caesar’ and ‘3 Elements’. This most popular of developers of online and mobile casino games are continuously adding more exciting games to their portfolio. You can enter this Asian fantasy land from a minimum bet right up to a maximum and you will encounter many magical symbols on the way including fans, green urns, temples and golden coins. The symbols you’ll see along the way are iconic to the Chinese culture, including delicate fans, an ornate green pot, as well as six playing cards. You can take good advantage of Gambles, Wilds, Free Spins and Scatter. If two or more temples are locked on reels, this will trigger a free spin feature. When it comes to extra features, in Golden Wild casino game players can take advantage of Wilds, Scatters, Free Spins and Gamble Feature. Wild symbols can replace any other symbol in the game, the golden coins are wild for all symbols apart from the temple Scatter symbol. You can also enjoy a guessing game with the pack of cards symbols, when guessing correctly you will be able to collect winnings or gamble again, taking full online casino advantage, to win bigger! 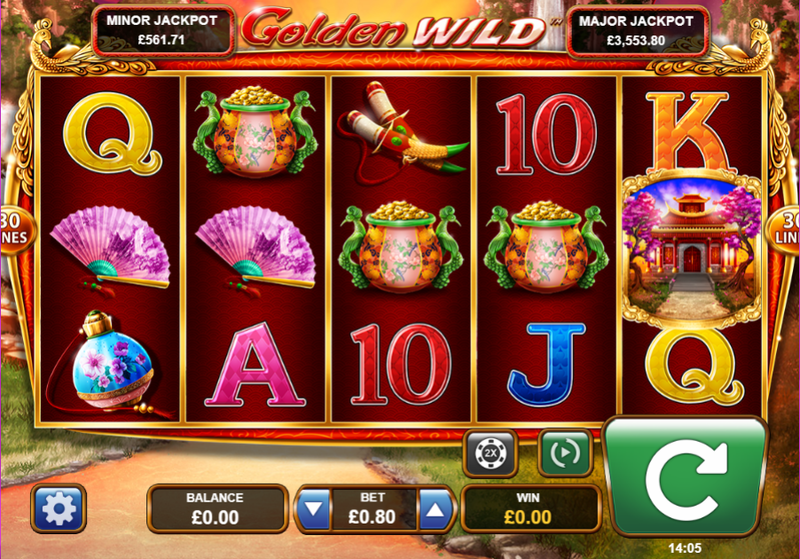 ‘Golden Wild’ slot can be played easily on all devices, including iOS and Android tablets and smartphones. For a Japanese treat of the senses, look no further than ‘Golden Wild’, it is innovative in its storytelling and interactivity. Easy to play and enjoyable too, ‘Golden Wild’ is bound to be on your top list of online slots to play and thrills with its selection of features and beautiful Japanese symbols. Make sure to enter through the temple today for a gaming experience full of eastern pleasure. If you enjoyed Golden Wild, we suggest that you try Dangerous Beauty!